In Hollywood, beauty is overrated, while talent is underestimated. Here is a list of the most underrated actors in Hollywood who desperately deserve an Academy Award. The devoutly Catholic James Caviezel is most celebrated for his role as Jesus in the 2004 movie, “Passion of the Christ” where he spoke entirely in Aramaic. The agonizing torture Jesus endured - from the whipping, the crowning of thorns and the carrying of the cross - was convincingly demonstrated by Caviezel. As Edmond Dantes in the 2002 movie, “The Count of Monte Cristo,” Caviezel was able to portray 2 antagonistic roles impeccably - one is Edmond, the naïve, poor and illiterate shipmate; and the other, the rich, ostentatious and cosmopolitan, Count of Monte Cristo. Caviezel has never been nominated for an Academy Award, and remains underrated. 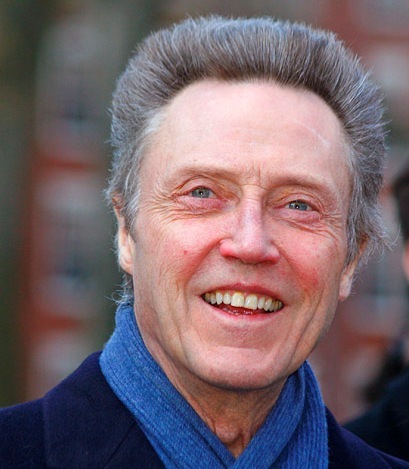 Actor Christopher Walken, of Scottish and German descent, has appeared in over 100 Hollywood movies. In 1985, Walken played the unforgettable antagonist, Max Zorin in the James Bond movie, “A View to Kill.” As Zorin, he had to dye his hair a shocking almost-platinum blond to befit his origins as a Nazi experiment on Eugenics. In the movie, “True Romance,” Walken’s “Sicilian” scene was hailed by critics as the best part of the movie, where he said the immortal lines: "I'm the Antichrist. You've got me in a vendetta-kind-a mood. You tell the angels in heaven, that you've never seen an evil so singularly personified as you did in the face of the man who killed you." Despite his prolific career and distinctively uncanny voice, the underrated Walken has won the Academy Awards only once, way back in 1978 in the movie, “Deer Hunter.” He was last nominated at the Academy Awards in 2002 for the movie, “Catch Me If You Can,” opposite Leonardo DiCaprio. This article is part of a series entitled, “Underrated Actors in Hollywood.” An addendum will be released. Be sure to check it out to learn more underrated Hollywood actors including the movies they were popular for. I don't especially like John Malkovich but I agree with you, he is versatile. He lived in France, speaks French fluently and has became recognizable and appreciated in that country. He has played in French and British movies. The Academy Awards are not a measure of success. Thanks, Sharla! I love John Malkovich, too. I think he's more versatile than most people think. Brilliant guy. I think John Malkovich is a brilliant actor. Nice review.